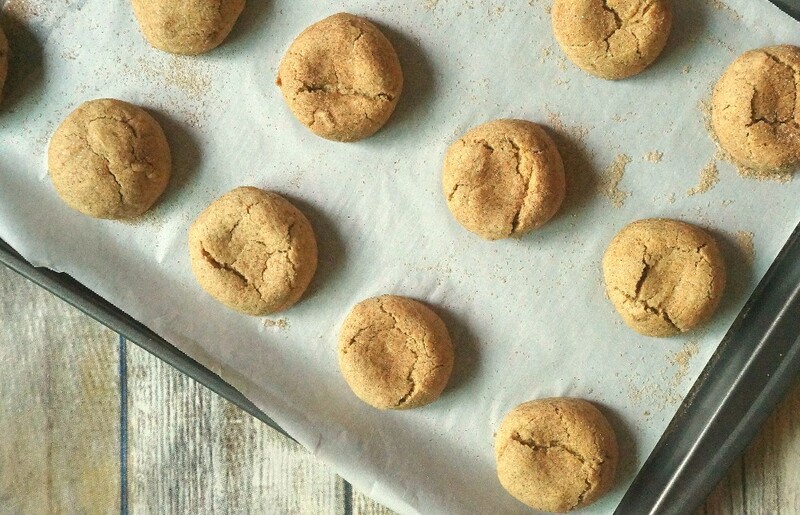 We are loving this gluten free pumpkin spice snickerdoodles recipe! These pumpkin cookies are super soft and chewy, perfect to welcome fall in a gluten friendly way! I am so excited for the fall season, I literally couldn’t wait to buy some pumpkin puree and make something sweet! Having recently found out that I am allergic to gluten, I can no longer pick up pumpkin sweets or treats at the grocery store, and I am so sad about it! I love all things pumpkin spice, and these gluten free pumpkin cookies have saved the day! Warm, soft, and thick, these easy pumpkin snickerdoodles cookies have a light pumpkin flavor with a delicious spice reminiscent of pumpkin pie. These gluten free pumpkin cookies are amazing! To make these pumpkin spice cookies gluten free, I used Bob’s Red Mill Gluten Free 1-to-1 Flour, my favorite wheat flour substitution in all baked goods. Made of mostly rice flour, you can literally use this flour cup for cup on any recipe to make it gluten free. I am glad that I can enjoy my favorite homemade baked goods again! 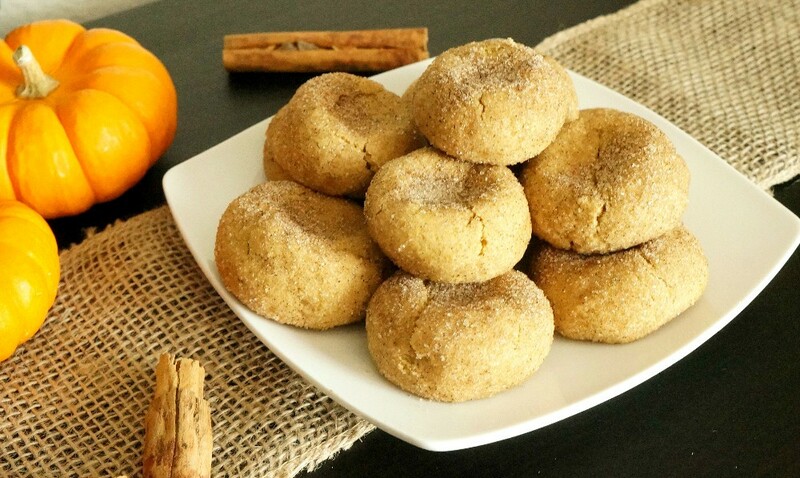 Without further adieu, here is our gluten friendly pumpkin snickerdoodle cookie recipe. If you’re looking for gluten free pumpkin cookies, these are IT. This is a pretty straightforward recipe, using standard cookie ingredients (butter, sugar, eggs, baking soda, etc) and takes about 45 minutes from start to finish. 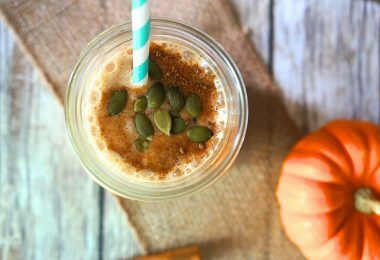 You will notice that it calls for pumpkin pie spice, and I realize that this is not always in your pantry! You can grab McCormick’s pumpkin pie spice here as the most affordable way to get it, or try making your own at home with lots of spices. 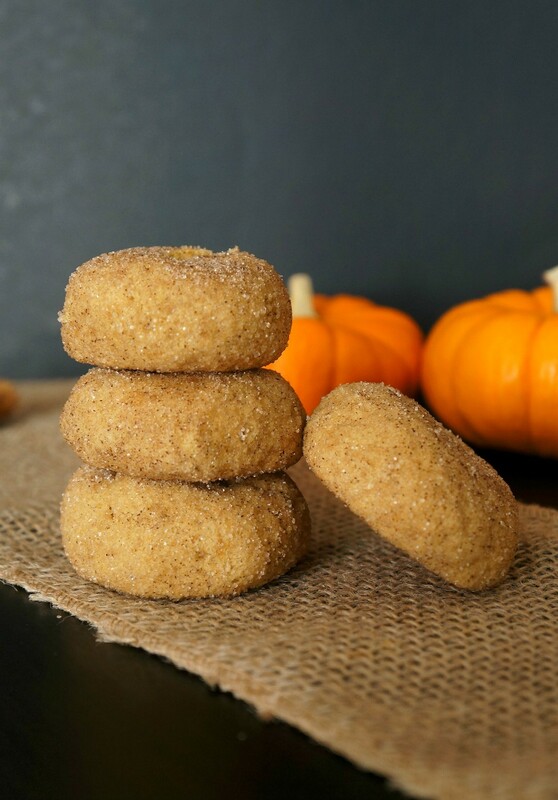 A delicious, moist pumpkin spice snickerdoodle is gluten friendly, perfect for your family this fall! In a small bowl, combine Bob's Red Mill 1-to-1 Gluten Free Flour, cream of tartar, baking soda, salt, cinnamon, and 1 tsp. pumpkin pie spice. Set aside. In a large bowl, add butter and beat with a mixer for about 30 seconds, or until it's nicely whipped. Add pumpkin puree and brown sugar, mix and cream together. Then, add the eggs and mix on low speed until all ingredients are combined. Slowly add the flour mixture to the large bowl, mixing as you go. When all ingredients are combined, cover the bowl and pop the cookie dough in the freezer for about 15 minutes. Set a timer, you don't want to over freeze it! Pre-heat the oven to 325 degrees F and line your cookie sheet with parchment paper. In a small bowl, combine sugar and 2 tsp. pumpkin pie spice. 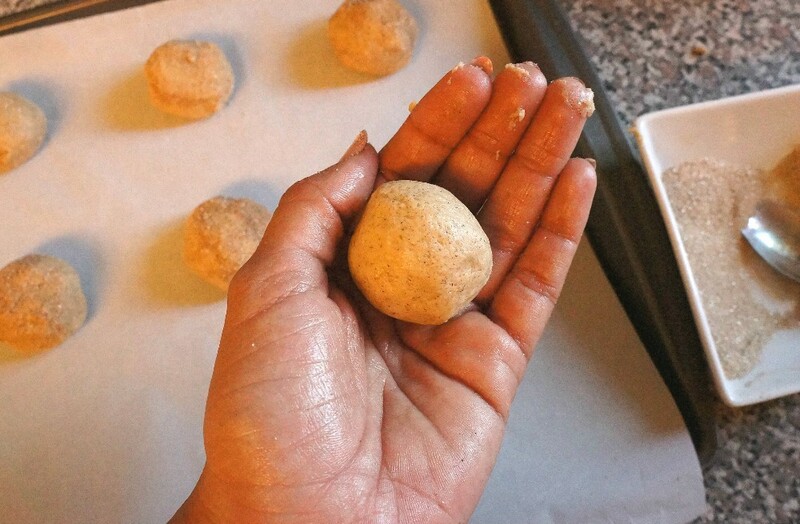 Scoop out tablespoon sized amounts of cookie dough and roll into a ball. Coat the ball in the sugar/pumpkin pie spice mixture and place on your cookie sheet. Bake for 13-15 minutes, or until cookies are golden brown. Allow them to cool for 10 minutes or so before you dive in, I know, they're tempting! Do I really need cream of tartar? YES! It stabilizes egg whites and gives a nice chew to baked goods. 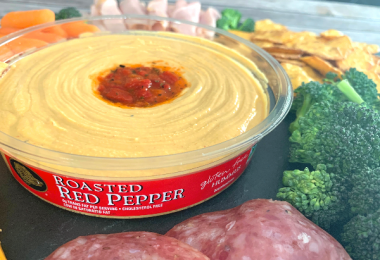 Please don't substitute this with anything else you may have heard of, it will change the texture and flavor of the cookies. I really hope you enjoy this gluten free pumpkin spice snickerdoodles recipe, the perfect fall sweet treat. My kids are going to flip when they get home, they LOVE snickerdoodles and will probably try to eat them all! Please tell me if you tried this easy, soft pumpkin cookies recipe, and what you think about it. Enjoy cooler fall weather and pumpkins galore! 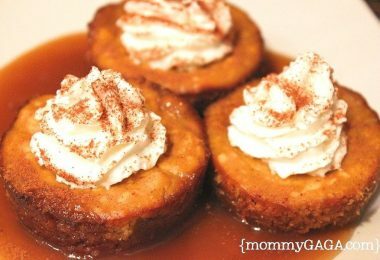 If you loved this pumpkin spice snickerdoodles recipe, try our pumpkin caramel cheesecake bites – they can be made gluten free with an alternative 1-1 flour like Bob’s Red Mill, and they are soooooo good! I’m going to a cookie exchange later this month and this recipe is perfect! Thank you! These look amazing! Can you substitute the gluten free flour for almond flour ? No, you cannot. Almond flour is more dense and does not have all of the same properties as regular flour, which is why I had to use a gluten free 1-to-1 baking flour. I didn’t read this comment before I had already used Almod flour so I just stuck with it and they came out pretty good! Oh these look so good! 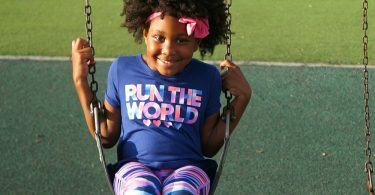 I was diagnosed with Celiac disease over 10 years ago. I do not make cookies often…as mine normally do not turn out very good. I have to try these…they look amazing! oh these look fabulous! I am craving al lthe fall flavored treats right now!